TOKYO — A recent remark by U.S. Vice President Joe Biden that America wrote Japan's Constitution is raising some eyebrows in Japan. A popular front-page column in the national Asahi newspaper said this week that the comment "was unprecedented in its insensitivity" and "could even be considered arrogant." 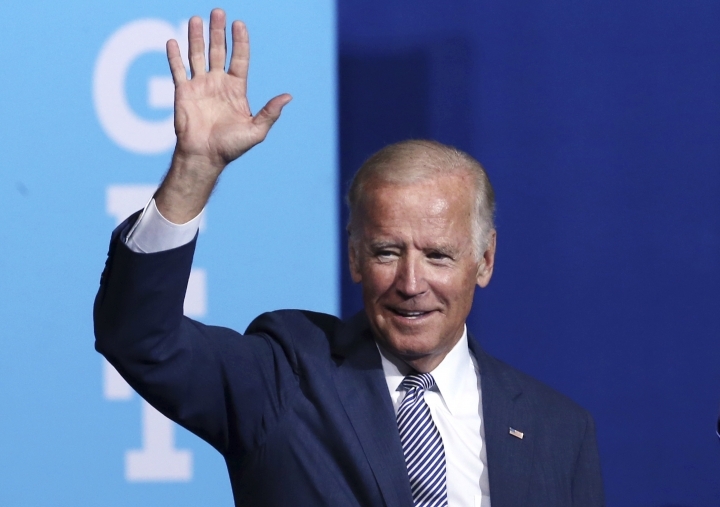 Biden, appearing Monday with Democratic presidential candidate Hillary Clinton, attacked Republican candidate Donald Trump for saying that Japan might need to consider obtaining nuclear weapons in the future. The vice president said, "Does he not understand we wrote Japan's Constitution to say that they could not be a nuclear power?" It's no secret that U.S. forces occupying Japan after World War II drafted the constitution, though Japanese scholars were involved in reviewing and modifying it before adoption. The 1947 constitution doesn't mention nuclear weapons, though it does "renounce war as a sovereign right of the nation." Japanese nuclear policy has been guided by three principles declared in 1967 by then Prime Minister Eisaku Sato: "not possessing, not producing and not permitting the introduction of nuclear weapons (into Japan), in line with Japan's Peace Constitution." The timing of Biden's remark makes it insensitive, said journalist and author Hiro Aida, coming as the ruling party under Prime Minister Shinzo Abe starts a push to try to revise the constitution, despite considerable public misgiving. "We thought only Trump was an insensitive guy," said Aida, who recently published a book in Japan on the Trump phenomenon. Biden "kind of misspoke. This is not something he should talk openly about in public." Many Japanese have come to embrace the postwar constitution for guiding Japan through seven decades of peace and relative prosperity. Some conservatives, though, have long resented a document they say was forced on Japan by the winners of the war.